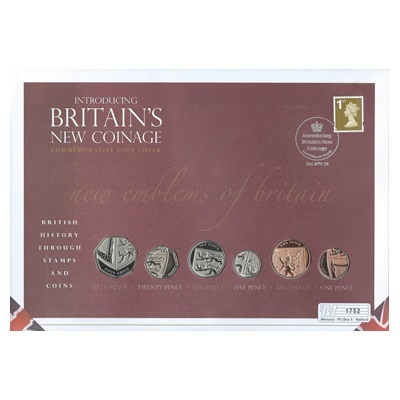 This commemorative cover, celebrates by presenting the coins in stunning cupro-nickel. 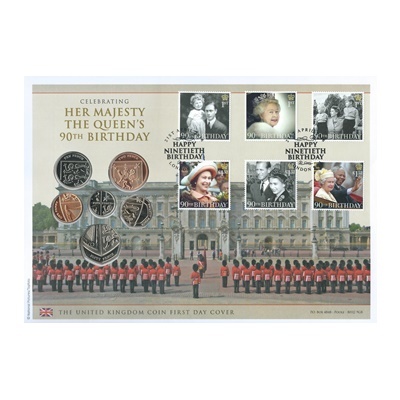 The cover features the 1p through to the 50p and to add further appeal are six commemorative UK stamps due to be issued simultaneously. Each features a photograph of the Queen from throughout her life, and the images are instantly evocative of her lifetime of service to the country. Aside from their visual appeal, there are also a number of British ‘firsts’ here too, including the first time the Queen has been pictured on a stamp with a head of state from another country – in this case Nelson Mandela.